This patch added in all the skill changes for Cannon Shooter so far, along with the PQ limit and the Event Calendar! Note: you can do EACH party quest 10 times a day, not 10 party quests a day. From your menu bar, you can select the Event option, or from your keyboard, press the V key. 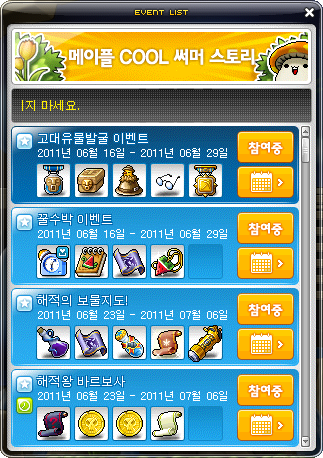 You will see a new window that shows you every single ongoing and upcoming event, along with their prizes! You can click the calender to see which days the events run from. The first is the Hakuna Matata event! On June 25 and July 2, you will receive a Hakuna Matata box. Double click it and you’ll receive 3 Saturday’s Blessings, 3 Sunday’s Blessings, and a Safety Charm! The blessings give you 1.5x experience for 1 hour~! The second is event is Look, the Pirate King’s Treasure! There are two parts to this event. One of them has to do with Cannon Shooters! Each day, you must collect 6 Pirate King’s Treasure Map pieces. What does this have to do with Cannon Shooters? Well, if you keep collecting the map pieces, eventually you’ll start to find items that will help you raise your Cannon Shooter! You can collect the map pieces every 10 minutes, and each time you’ll get a Spring Water for Cannon Shooters. 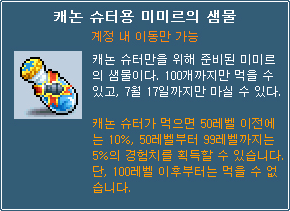 It gives 10% exp to Cannon Shooters less than level 50, 5% to levels 50~99, and it cannot be used by anyone level 100 or above. 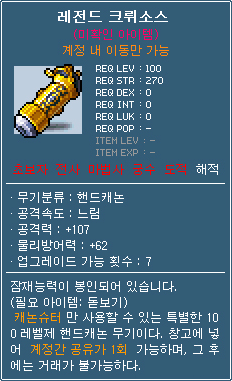 One Cannon Shooter can use up to 100 of these potions! The Pirate King Barbosa has been spotted around the Maple world! Find him and defeat him for some loot from his treasure! Can’t wait to make one in GMS =D. So when’s the legendary archer and resistance warrior going to be announced? Cannon Shooter is gonna be a big part of the Summer update, so I think the new jobs will be held off until fall and/or winter. 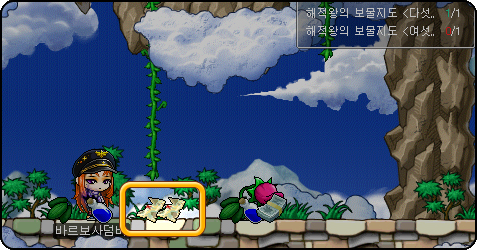 IIRC, there’s supposed to be a new testing period starting in KMST soon. I’d expect one of the two jobs to be part of whatever is going to happen during this Summer testing period. I’ll try my best to be as good a blogger as him~! I think every event from now on will be an attendance check, haha. Yay another person, another blog like Spadow (: Ty Max for the info! good luck on the blog hope u will replace spadow! Have fun with Big Bang~! Your blog is amazing, hope you can continue making updates from KMS(T) as thorough as these! Nexon KR tweeted a there’s a big announcement meeting thing tomorrow. Do you think you’ll be able to have coverage on it :D? I finally found a blog that also has updates on what is happening on KMS after spadow officially stopped updating his blog.